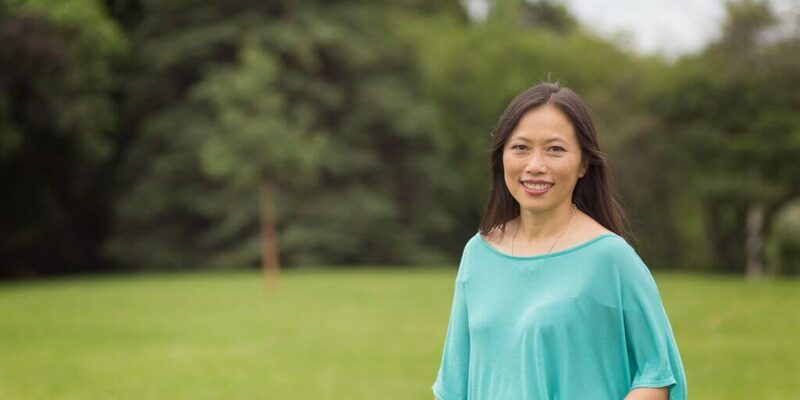 Guest Bio: Mary Wong, B.Sc., R.TCMP, R.Ac, is the founder of ALIVE Holistic Health Clinic based in downtown Toronto, Canada. A TCM practitioner and Registered Massage therapist, Mary has been in practice for over 20 years and has treated thousands of people, the vast majority of whom struggle with gynecological disorders, fertility challenges, and pregnancy-related symptoms or issues. She treats each patient as an individual – not just their diagnosis where she has made it her life’s mission to bring about change and improve people’s health by bridging the gap between Eastern and Western medicine. Segment overview: Mary Wong, Traditional Chinese Medicine practitioner, founder of ALIVE Holistic Health Clinic in Toronto, Canada, and author of the new book “Pathways to Pregnancy: Personal Stories and Practical Advice for Your Fertility Journey,” talks about her personal fertility journey. Neal Howard: Hello and welcome to the program, I’m your host Neal Howard here on Health Professional Radio. It’s often a source of shame, infertility is discussed in hushed tones between husband and wife and rarely discussed in open forums. Our guest in studio says that it’s useful if your friends, family, co-workers and often your employers are supporting you in your fertility journey. 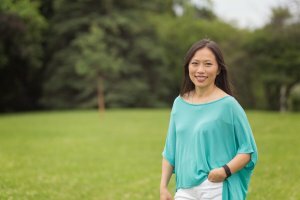 Our guest is Mary Wong, traditional Chinese Medicine practitioner, founder of ALIVE Holistic Health Clinic in Toronto, Canada and also the author of the brand new book, “Pathways to Pregnancy: Personal Stories and Practical Advice for your Fertility Journey.” Welcome to Health Professional Radio Mary. Mary Wong: Thank you for having me Neal. N: I know there’s a lot of stigma as we discussed in other segments around infertility. Why did you write this particular book? M: I wrote it just because there is a lot of stigma and I want to normalize that conversation and give a voice to all those that are going through it and educating all those others that have not been through it. Again, just to normalize it. N: You had your own issues with infertility I do believe if I may ask, are your own experiences part of your passion about fertility and traditional Chinese medicine? M: Yes, absolutely and I came into it by a bit of a coincidence. My intention was to go into medical school and become a psychiatrist but yet through my past I witnessed my grandmother who fell ill and she was deemed, well fatally ill and they gave her 2 weeks to live and it was Chinese medicine that saved her. So it opened up my eyes and I thought ‘Oh my goodness, we need to start a different conversation and integrate that and have it highly available to everyone.’ And that’s why I went into Chinese medicine and with regards to fertility, yes I did go through challenges myself and like most people you don’t expect to have issues. In fact when you’re young, you’re basically told ‘Oh you know you better not get pregnant.’ So there’s this air of when I want to get pregnant it’s just going to happen and it would really doesn’t happen 1 out of 6 of us, meaning currently right now there are people who are experiencing fertility challenges who one day will have fertility challenges and who have had fertility challenges. N: Now when we were talking about some of the stigma, being personally involved and having personally experienced infertility on the first hand and on the other hand you’re talking about traditional Chinese medicine. This is something that is not the norm especially when you’re dealing with the traditional or the I guess westernized fertility routes. M: Yes, you’re absolutely right and yet in 2015 a study by Lee… and where she tracked women who did preconception treatment which included acupuncture prior to IVF, in vitro fertilization and what they found was there was an increase in take home baby rate. So meaning not an increase in pregnancy rates but who cares if you can get pregnant if you’re going to miscarry, what counts is the baby. M: So it eludes the fact to that if you’d increases and have the quality of our eggs that are developing and we know that acupuncture can increase blood volume to our reproductive organs which carries with it oxygen, nutrients, take away debris, all those kinds of things and so it can help quality and when a person is utilizing that in conjunction to western medicine as necessary like IVF then the western medicine is working on quantity whereas Chinese medicine is working on quality. N: Part of the title of your book is personal stories and practical advice for your fertility journey. We were talking about information and the sharing of information kind of getting pass the stigma, being a very useful tool when you’ve got a support system around you that may include your employers, your co-workers, not just your family and close friends. How does the book, ‘Pathways to Pregnancy’ address some of the ways to get a conversation starter with people who may not have such a personal stake in your fertility issues? M: Absolutely. So when it comes to work for example, you kind to have to get your feelings out because obviously not everyone’s going to be supportive and I’ve witnessed this myself with some of my patients. But there can be some of that are so it maybe a co-worker and even if you just confide in one person at work, that might be a good ability to have them, who has your back to deflect questions, to even physically cover for you if you’re actually going through fertility clinic which can take upwards to a couple of hours a day, every day while you’re going through your fertility cycles and the other piece then too with that it’s also at the home front too. Being able to create a community to help you to decrease the stress that’s involved. So when it’s your partner, instead of coming home and perhaps you’re still doing everything, sitting down and asking can you help offload some of the stress maybe do laundry or do with some cooking, like that. N: Sometimes we say the darnest things, did you find that there were a lot of myths and misconceptions that were attributed to your situation that you realized ‘Hey, this is not just me. They believe this or that about all people who are going through fertility issues.’ What were some of the responses that you got that now you’re able to… some of those myths? M: For sure, I mean first of all let’s talk about the myths, so one myth is that infertility is a woman’s problem and as we know as fact is men are equally likely to have fertility challenges as women and so it’s not just a woman’s conversation. And secondly, along with that, we also think that men are virile till the end of this earth and again sperms are compromised through lifestyle factors and the like so it’s not just that and there are things we can do that can help that. So things that we can do for that to help sperm, things that we can do to that egg. And there’s also a third misconception that fertility strictly is age related and in fact even for a 20 year old, any given cycle it’s about 1 in 5 chances of conceiving, however within a year about 80% of a person that’s 20 years old they’ll get pregnant. And as we age there is a drop in the percentage but it’s not strictly age related and there are other conditions and health challenges that precludes or diminishes our chances of conceiving like thyroid issues, endometriosis, polycystic ovarian syndrome and the like. N: When we navigate to your website, marywong.life are we able to get information about getting a copy of “Pathways to Pregnancy” at your website? M: Absolutely. There’s links to Amazon, Barnes and Noble and in Canada Chapters Indigo and basically you’ll find it at any bookstore near you, your libraries, it’s everywhere. N: You’ve been listening to Health Professional Radio, I’m your host Neal Howard. We’ve been in studio with Mary Wong, she’s a traditional Chinese medicine practitioner, founder of ALIVE Holistic Health Clinic in Toronto, Canada and also the author of the brand new book, Pathways to Pregnancy: Personal Stories and Practical Advice for your Fertility Journey. She’s been in studio talking about some of her personal experience with fertility and infertility as well as some advice on how to get the conversation started and get pass some of the stigma that surrounds infertility. It’s been a pleasure talking with you Mary. M: Thank you so much for having me Neal.